Following reports that Chelsea Manning is on President Obama’s “short list” for a possible commutation, the Internet has exploded with support for the imprisoned transgender transparency advocate. 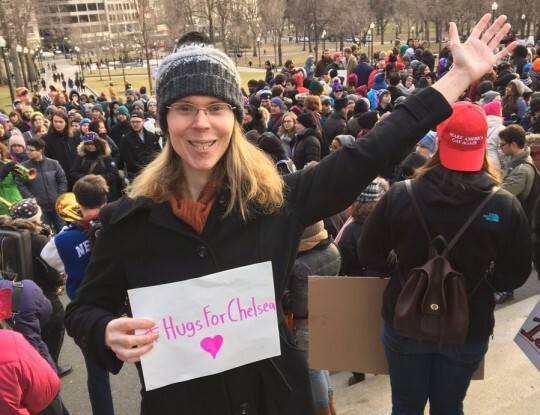 Over the weekend, thousands of people started taking part in a spontaneous #HugsForChelsea campaign, posting photos of themselves with their arms outstretched as if waiting to give Chelsea Manning a hug, calling for President Obama to grant her clemency. Some prominent individuals including Michael Stipe of REM have joined the effort. See the landing page for the campaign here.